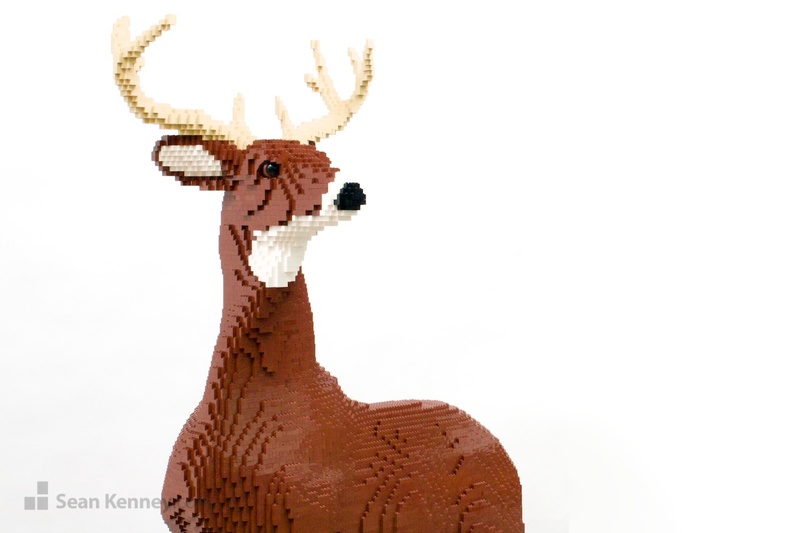 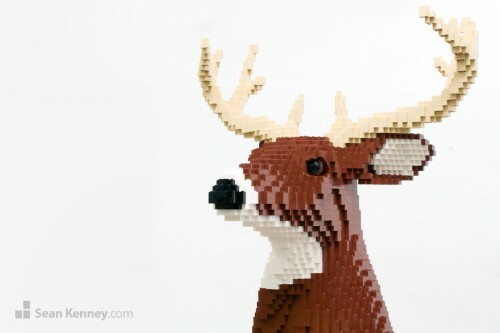 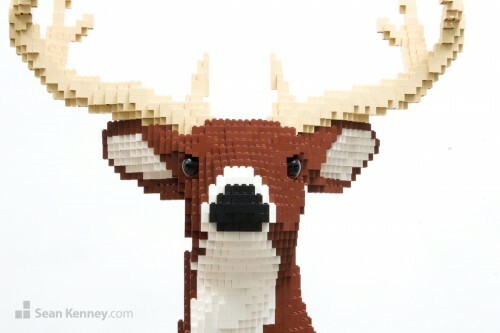 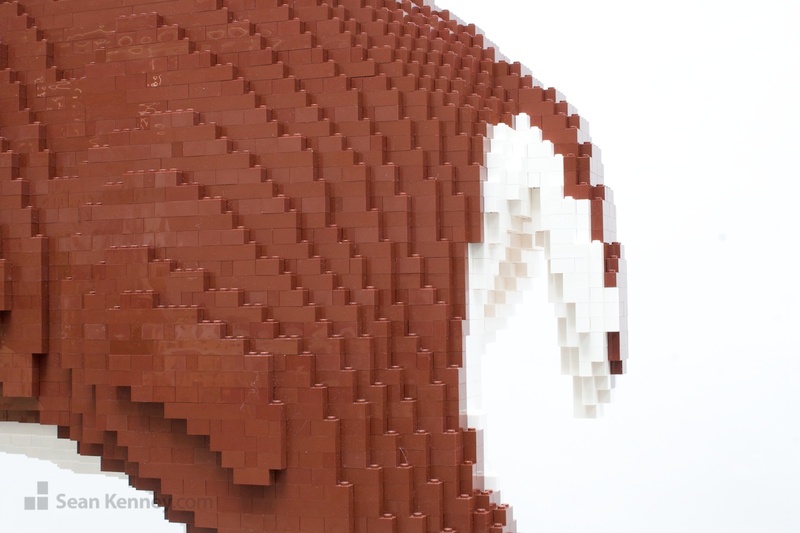 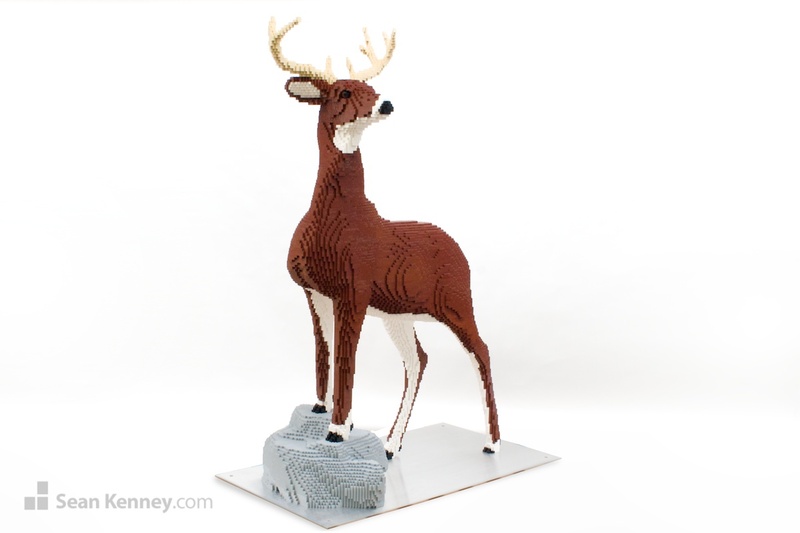 This sculpture is over 5 feet tall and contains 46,563 LEGO pieces. 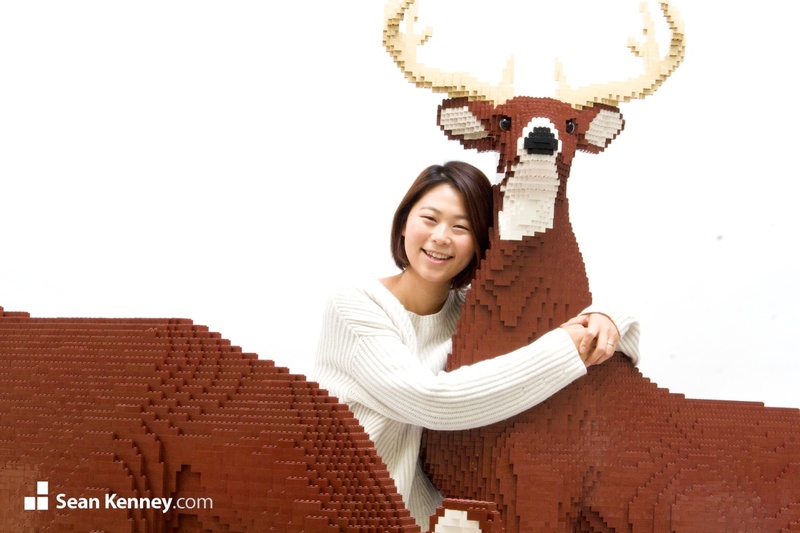 It took my assistants Jung Ah and Ji Sun over 215 hours to design and build. Three of us spent over a week just working on the expression of the eyes. 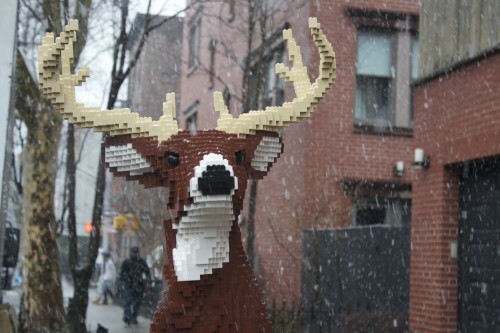 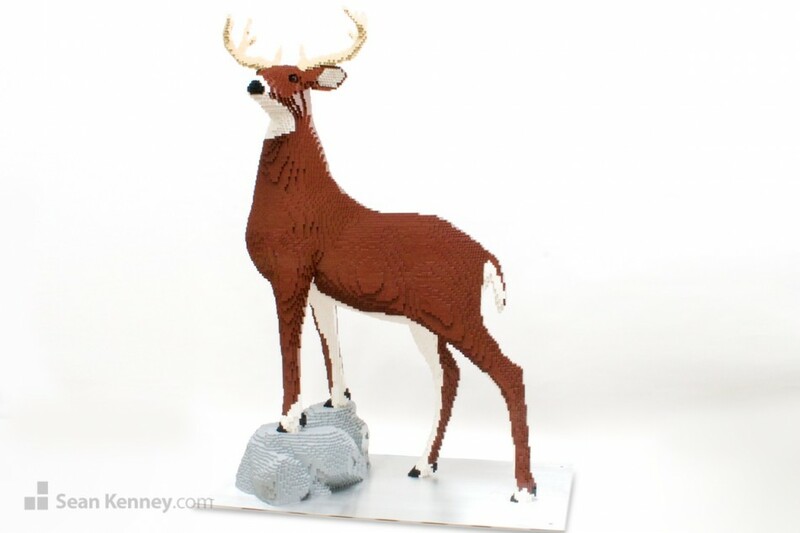 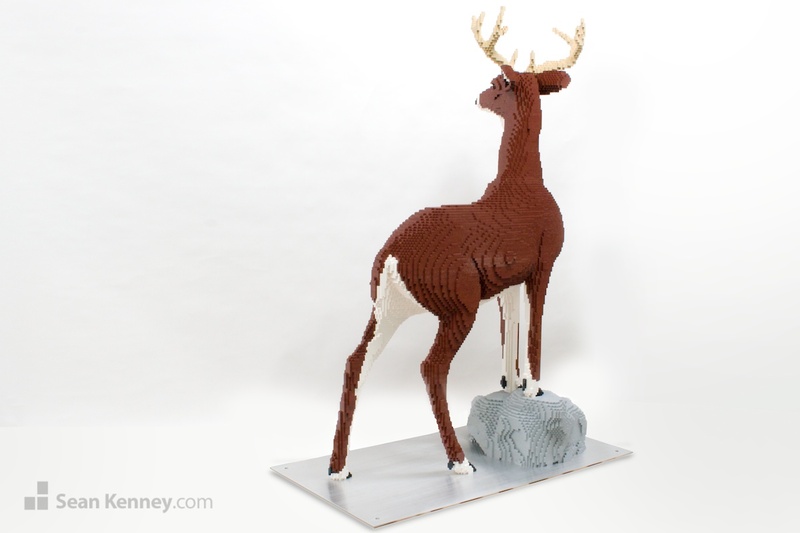 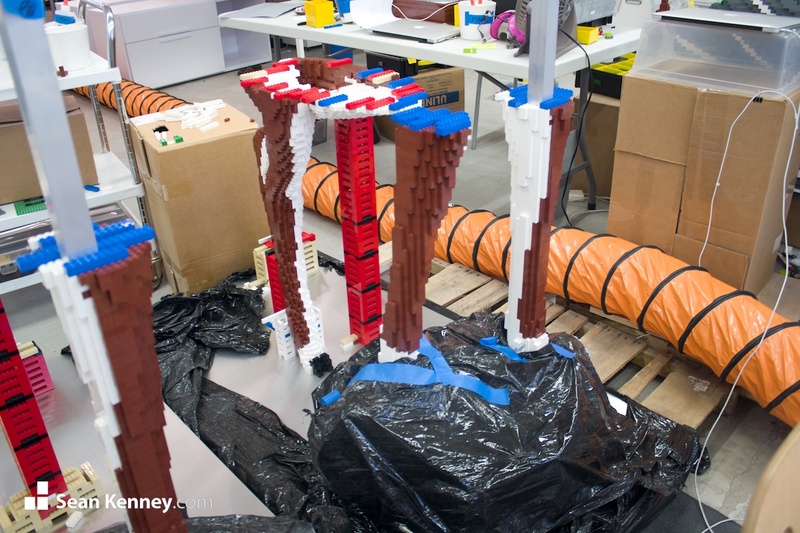 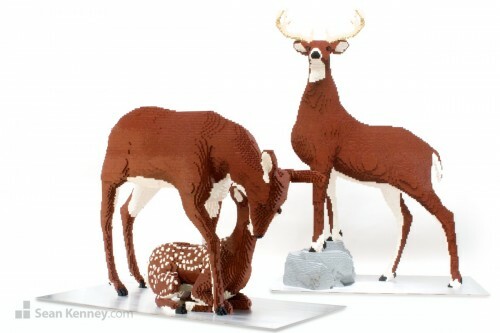 The sculpture is built around a custom-welded metal armature, and every LEGO piece is glued one-by-one.